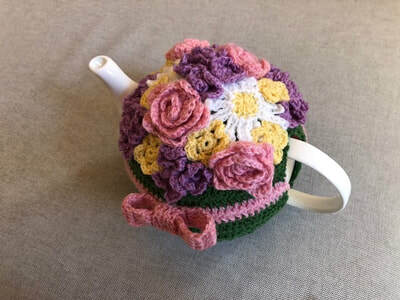 Spoil your mother this Mother’s Day with a bouquet that will last for years. 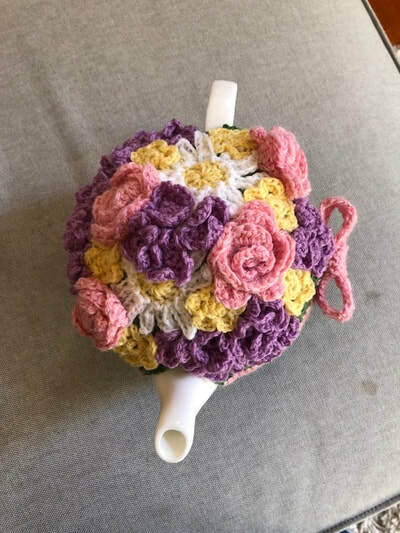 This May Flowers Tea Cozy is the perfect center piece for a tea party, garden party or Mother’s Day Brunch. 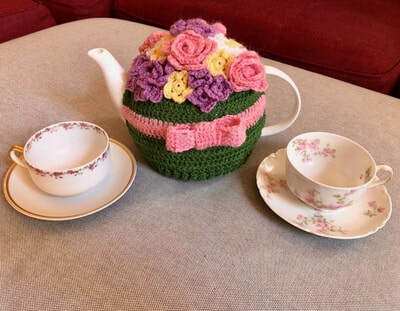 It can also be a life saver as a housewarming present for a touch of comfort and social coziness in a new home. 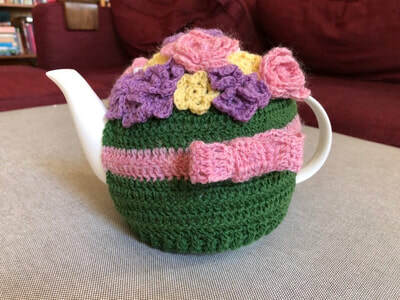 The tea cozy fits a standard 6-cup teapot, but it has some stretch and is quite forgiving so it works on most standard teapots. 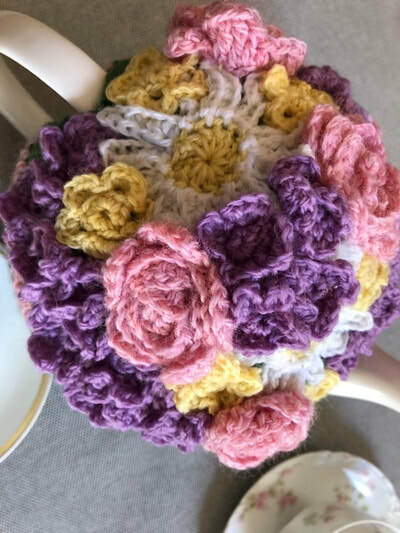 The bouquet is filled with pink roses, yellow and white daisies, yellow buttercups and purple hydrangeas. 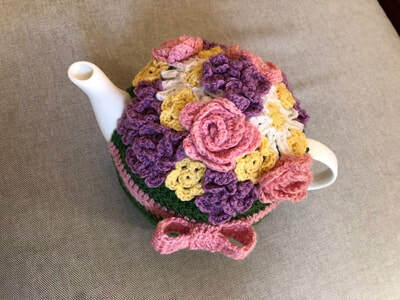 The texture from the roses and hydrangeas really help it pop! A perfect pink bow is the finishing touch to your floral bouquet. 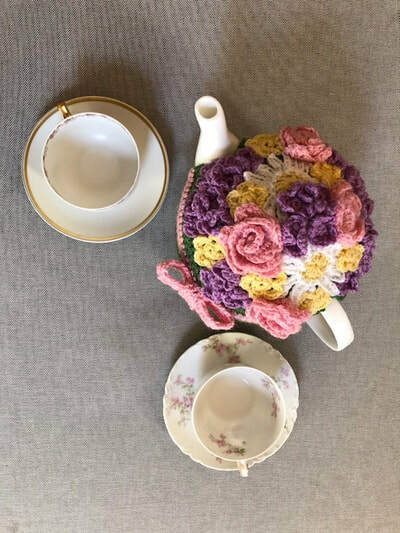 You can play around with the number of flowers, arrangement and colors, but the pattern includes step by step instructions for making each element and a diagram for how to arrange them as in the photos. 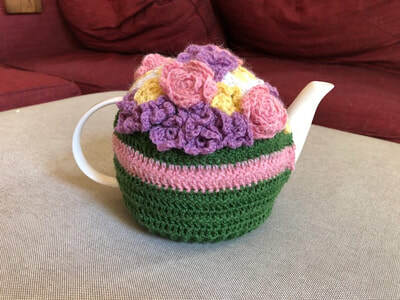 If you have a particular favorite, you can make a tea cozy that is entirely roses or daisies - the sky is the limit. 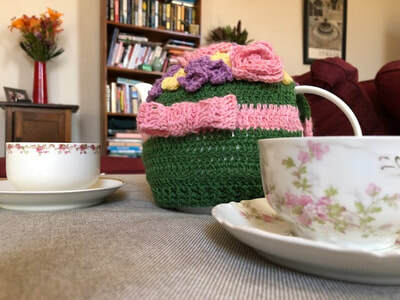 Each color used less than half of a standard skein of yarn, so you can easily make 2 or more cozies from one batch of yarn. 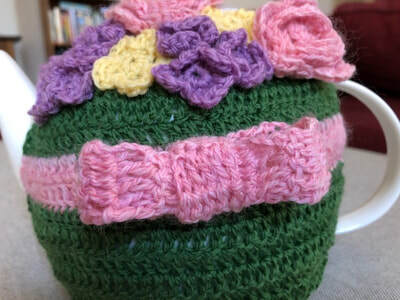 The pattern also includes printable tags for gift giving.